I took my two oldest children to a middle school performance of The Lion, The Witch and The Wardrobe tonight to cheer on a kindergarten aged family friend who had a role in the play. We sat near the back on the right hand side where the chairs angled inward so that the end seat had the best view up aisle to the stage. This is where my 4 year old son sat with his 6 year old sister between us. He turns 5 in just a few more weeks. As he sat mesmerized by the show, I was mesmerized with him. In a million wonderful, sometimes exasperating, full-of-life moments this baby of mine has become a little boy and is on the brink of that full blown big kid stage where R’s and L’s are pronounced with clarity, carrying him on my hip is a short-lived feat of supermom strength and toddler impulsivity is making way for calculated reasoning. While a game of baseball or a star-wars-style sword fight would be his favorite mode of play, magic and make-believe still top his list of worthy pastimes. The story unfolded on the stage and I glanced over at my sweet boy, too far away to hold his hand or wrap an arm around his shoulder. I took in his joy as a sentimental observer. The adventure of the 4 siblings and the magical animals of Narnia, the dilemmas faced, the dramatic climax, and celebratory resolution, all kept his attention throughout the two-hour, past-his-bed-time performance. He practically jumped out of his seat to shout “hooray” a few times, but mostly he sat leaned forward on his chair, feet dangling above he ground with his hands folded tightly, prayer-like, in front of his chest under a big grin. His eyes never turned away from the action. I was enchanted too, but by a far more amazing story of a little boy’s life. I wanted to capture and keep him like this forever. It felt symbolic that I couldn’t quite reach him to snuggle him into my arm and share his joy. He was having his own experience, as he is in so many ways already in life. I knew we would do the play-by-play talk we always do after a special event on the way home, but I would never fully know what was in his head all that time. The enactment of this great story originally penned by C.S. Lewis was weaving itself into the fabric of his thinking and feeling as all great forms of art do to us in life. With a baby in the picture now, I’ve been thankful for my son’s abilities and burgeoning independence. He was slower to say “I do it” than my oldest daughter was and there were times I lamented his whiny “you do for me” as he sat capably choosing to stare helplessly at a pair of socks just past his pudgy bare feet. With two children not quite two year apart, self-reliance was a sanity producing cause, but tonight I wanted to stop all that progress and hang on to my little boy. I love him so very much that I don’t want to think about the day when he will no longer need me for so much of his care. It is a such a strange thing we take on as moms. We give our bodies and then all the physical and emotional energy we can muster completely over for the care and love of the most dependent animal on earth. And then slowly over time, their need for us unravels to reveal what we hope will be a capable human being. Then, before either of us could possibly be ready, we are to launch them into the world, out of our careful sight to experience and endure whatever comes their way. My son’s name means “Vigorous” or “Battle Chief,” a little more intense a meaning for a name than I would have probably gravitated toward. Yet my body began laboring and bleeding 8 weeks too soon when pregnant with him putting me on bed rest for a while and introducing fear into conception. So this meaning for his name became a well-fitting prayer for him to hold on and grow in strength and vigorousness. Plus, he was active and wild in there, so it fit. The Lion The Witch and The Wardrobe had come out in theaters that winter of my 2nd pregnancy. With a year and half old toddler at home, it was a privilege to see it on the big screen on a rare date night with my husband. 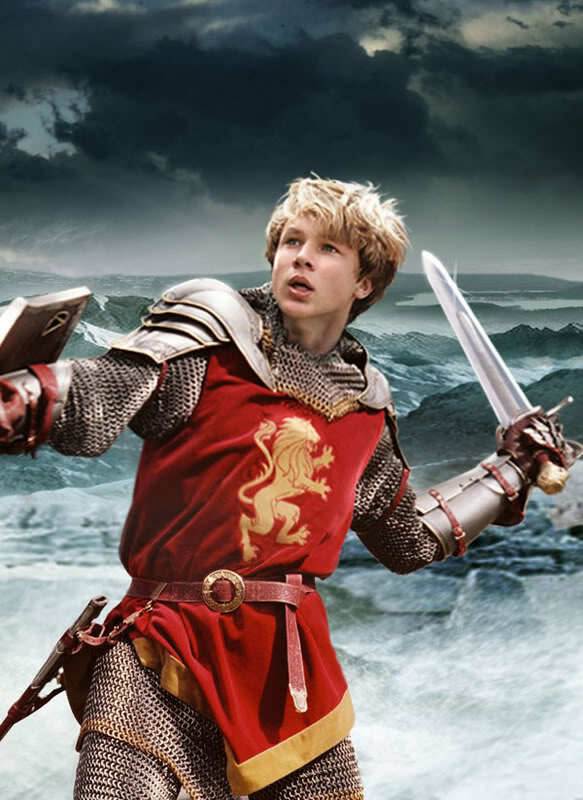 I remember the climactic battle scene when the eldest brother Peter led the charge to save Narnia. He did so with courage and integrity. He had been a gentle, kind boy up until that point of the story and I was moved by the strength of character he showed in boldly following a call to action. I caught a vision for how this name that meant “Battle Chief” could personify my sweet son of Adam. “You go for it!” I cheer with a smile, and know that he will indeed change the world.